Ram– 2019 Ram 1500, 2500, and 3500 pickups have been redesigned. Highlights include increased towing and payload capacities, a new hybrid powertrain option, and a new 12-inch Uconnect® touchscreen infotainment system. Jeep– Off-road enthusiasts were thrilled by the ability to test drive a variety of new Jeep models in all-terrain conditions, including an 18-foot hill, rocky terrain, and even stairs. Dodge– From the new Challenger SRT Hellcat to a test drive of the new T/A 392, the 2018 Dodge SRT lineup left gear heads drooling. 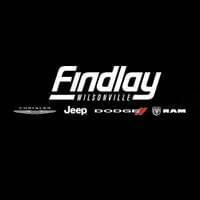 Drivers from Gresham, OR to Vancouver, WA and beyond can check out all the latest Chrysler, Dodge, Jeep, and Ram vehicles right now at Wilsonville Jeep Ram, where we offer affordable financing and lease rates on all our vehicles. Come see us today at our dealership near Wilsonville, OR, or contact us with any questions!